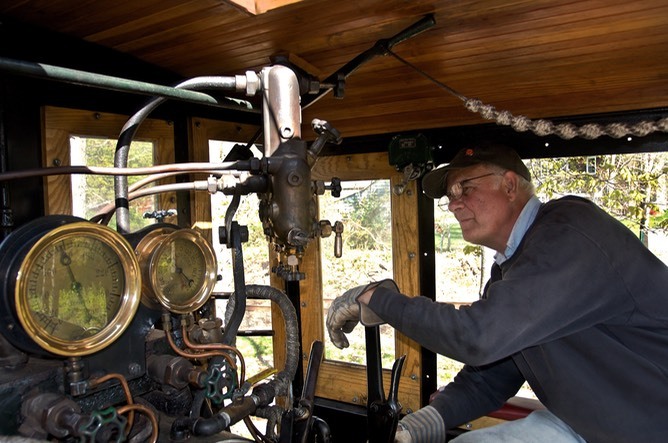 Bob Hungerford checks the Detroit Lubricator of Hawaii Railway Co. No. 5. It had been problematic. This was at the Connecticut Antique Machinery Association May 2, 2009 Spring Power Up, Kent Furnace CT.